In March 2017, an amendment to Australia’s Interactive Gambling Act was passed in what politicians claim is a way to protect online players. However, it could be argued these amendments will do exactly the opposite, creating unsafe spaces for Aussie punters by forcing them to play at unregulated, unlicensed sites. We look at the IGA amendments and the potential problems they pose for Aussie players. In Australia, the laws regarding online gambling are governed by the wording of the Interactive Gambling Act (IGA), which was initially implemented by the Howard government in 2001. The original wording of the IGA banned any Australian operator from running online gambling services and from advertising such services to players within our borders, but there were many loopholes. There was no specific wording to prevent Aussies from playing at offshore casinos (ones located on foreign soil), so the online casino industry continued to thrive. Online pokies have become major business, with many Australians turning to the Internet to try their luck at online slot games, which offer better bonus features, more advanced graphics and more engaging animation than their land based counterparts. On March 20th 2017, the Interactive Gambling Act was revisited in Australian parliament to address the Interactive Gambling Amendment Bill 2016. The bill was passed, closing all former loopholes by amending the IGA to prohibit all operators from offering online gambling services to Australians unless the person holds a gambling license under the law of an Australian state or territory. It is important to note these new laws are aimed solely at operators, with no penalties in place for Australians who continue to service online casino sites. Like it or loathe it, the Internet is part of daily life for a majority of Australians. In 2016, the Australian Bureau of Statistics (ABS) reported the number of Australian households connected to the Internet reached 86%, while research has shown smartphone penetration nears 89%. The Internet is how millions of us now choose to conduct many of our daily activities, from online banking, to online shopping, to general communication. In order to keep up with the times, almost all capable businesses have rolled out their services online – you can get online therapy, online university degrees, and even order your weekly groceries with a few taps of your touchscreen. 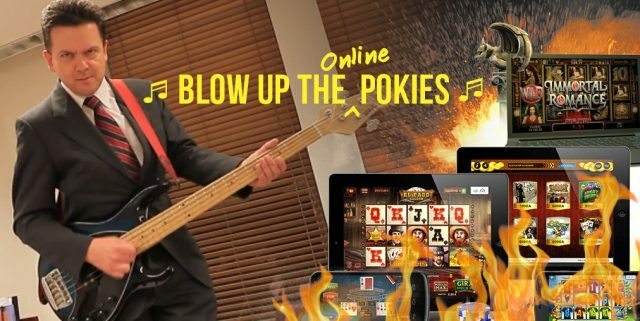 So why does the Australian government seem so determined to keep gambling, one of Australia’s most popular forms of entertainment, out of the online sphere? It all comes down to keeping problem gambling and harmful gambling practices out of the home. One of the government’s main arguments it that legalising online gambling means more punters will take to the Internet where they can place real money bets 24/7 with no respite. What the government fails to acknowledge is that a majority of all land based casinos around Australia are open 24 hours, seven days a week, closing only for limited hours on Christmas Day and Good Friday. Pubs with electronic pokies in them can be found offering their services well into the early hours of the morning in most Australian capital cities, with only a few hours closing time where players are unable to access these machines. It’s hard to take the government’s concerns about round-the-clock online access seriously when they continue to allow 24/7 gambling in real life, but of course, there are government tax benefits aplenty coming from the casinos and pokies lounges. Research released by ProblemGambling.net.au has shown that 80% of Australian adults engage in some form of gambling activities, while only 0.5% to 1.0% experience significant problems with gambling addiction. Don’t get us wrong – gambling addiction is an incredibly serious issue and not to be taken lightly – but for a majority of Australians, placing a bet is simply an occasional form of entertainment. Removing the ability to legally do so online, when the Internet is now a daily way of life, is arguably restricting our freedom. If the government allows us to legally gamble in real life at casinos, pubs, clubs, newsagencies, TAB outlets and even convenience stores, where do they get off trying to ban gambling services from the Internet? Remove pokies from clubs and pubs around the country and the public might be able to take the government’s anti-online gambling stance a little more seriously. Leyonhjelm is correct in that Aussies are turning to VPN services to play at offshore casinos to get around region-restrictions while also benefitting from an extra layer of online security. The blatant reality is that if an individual is seeking a particular service, they will find ways to get it. There is nothing in the IGA that penalises players from playing at offshore casinos, so essentially there is nothing preventing players from continuing to gamble online. However, as the IGA’s amendment focus is on prosecuting operators, this simply means the most reputable, well-licensed offshore casinos will pull out of the Australian market, and you know what this means – out come the wolves. The dodgiest of unlicensed operators will continue to accept Australians, putting Aussie punters in the precarious position of playing at unregulated sites where their money, privacy and safety is compromised. The leading offshore casinos accepting Australian players prior to the 2017 IGA amendments are all licensed by highly-regarded gambling jurisdictions, adhering to strict laws set by their country of jurisdiction. These sites are committed to player safety, supporting responsible gambling practices with self-exclusion policies and optional player limits in place. These sites are protected by high levels of digital SSL (secure socket layer) encryption security and are regularly audited by leading third-party authorities like eCOGRA to ensure all games are using genuine RNG (random number generator) software. Unlicensed gambling sites don’t offer any of these benefits. If you choose to continue to play real money pokies online, it is now more important than ever to be well informed about how to identify a safe online casino. Refer to any of the guides on our site to learn what to look for in terms of licensing, game software and player protection. The Australian government should really take this opportunity to look towards the United Kingdom and see how regulation of the online gambling industry could benefit our country. The UK Gambling Commission was set up under the Gambling Act 2005 to regulate commercial gambling in Great Britain in partnership with licensing authorities, giving the Commission power to issue online gambling licenses to upstanding UK operators. All licensed operators must comply with UK legislation and the Gambling Commission’s code of practice, including supporting responsible gambling practices, while paying gambling taxes to the UK government. This means UK residents are spending less money at offshore casinos, pumping money back into the local economy, while benefitting from the protection of local regulations and standards. In the UK, licensed online betting operators are generating millions of dollars in revenue each year – that’s money Australia is missing out on by forcing players offshore.